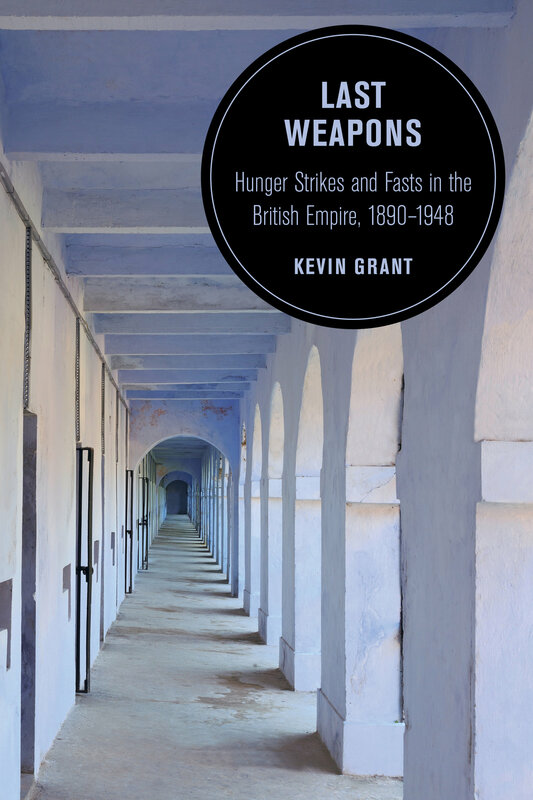 Last Weapons explains how the use of hunger strikes and fasts in political protest became a global phenomenon. Exploring the proliferation of hunger as a form of protest between the late-nineteenth and mid-twentieth centuries, Kevin Grant traces this radical tactic as it spread through trans-imperial networks among revolutionaries and civil-rights activists from Russia to Britain to Ireland to India and beyond. He shows how the significance of hunger strikes and fasts refracted across political and cultural boundaries, and how prisoners experienced and understood their own starvation, which was then poorly explained by medical research. Prison staff and political officials struggled to manage this challenge not only to their authority, but to society’s faith in the justice of liberal governance. Whether starving for the vote or national liberation, prisoners embodied proof of their own assertions that the rule of law enforced injustices that required redress and reform. Drawing upon deep archival research, the author offers a highly original examination of the role of hunger in contesting an imperial world, a tactic that still resonates today. Kevin Grant is the Edgar B. Graves Professor of History at Hamilton College.